Our ValuTrack warehousing specialists provide a quick overview of how you can successfully tackle these challenges with the latest data capture, mobile computing, and printing solutions. Inventory is notoriously inaccurate in many industries and warehouses that lack a reliable way to capture and track inventory. It is important that you monitor inventory as it moves through your facility in real time. The first step to increasing inventory accuracy is making sure you’re using a warehouse management system and the right technologies to convert slow, manual inventory processes into automated and precise inventory tracking. Our HAL Traxx inventory system is a real-time, browser-based software application that integrates with all major ERP systems and provides complete tracking of your inventory using Zebra mobile computers and RFID readers. With an RFID system, you can identify and track inventory automatically and achieve 99% or better ac curacy with minimal effort. You can turn physical inventories that take days to complete into fully automated inventory counts that can be completed in hours or less. Many warehouses want to boost their efficiency but don’t want to incur the costs of adding more employees. The ideal solution is to adopt and maximize the use of mobile computing throughout your operations. Zebra’s latest MC9200 mobile computers put everything your workers need at their fingertips. This includes barcode scanning, access to your business critical software apps, and push-to-talk voice calls and communications. Zebra also gives workers the freedom and mobility to access key business data and complete tasks anywhere around the warehouse. Enhanced automation and convenience of on-the-spot computing, data, scanning, and communications will allow for greater efficiency and productivity. Using the powerful combination of voice, scanning, visual cues, and hands-free computing and communications technologies, your workers can receive, pick, pack, and ship goods seamlessly and without having to look up or walk away from their tasks. For example, Zebra’s WT6000 wearable mobile computers, headsets, and ring scanners give workers immediate access to receiving, picking, packing and shipping data as well as scanning capabilities—without having to use a handheld or workstation computer. 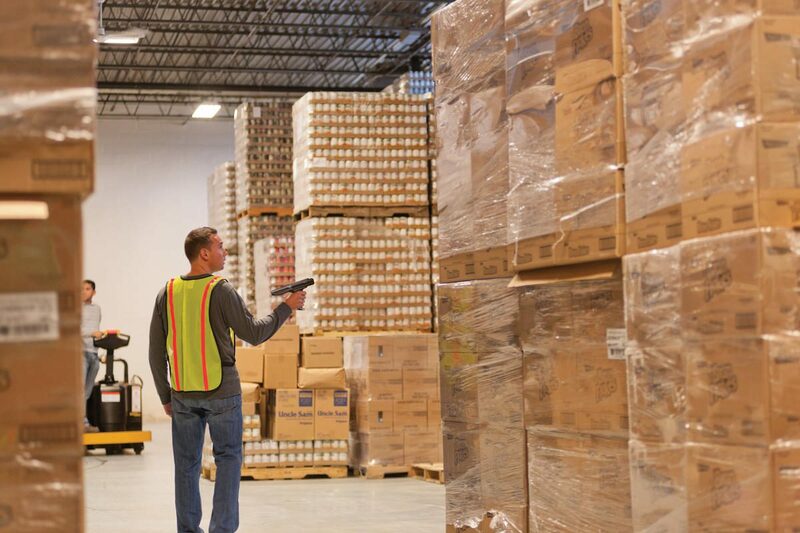 Multi-modal and speech-directed solutions can also deliver visual, voice, and audible cues to direct workers to specific warehouse locations as well as next steps or items in your processes. The resulting hands-free efficiency improves warehouse productivity by 10% or more at accuracy rates of 99%. The days of two-way radios are long gone. Zebra’s mobile computers enable real-time voice and text communications via Wi-Fi or 4G LTE networks. Therefore, there is no need for workers to carry multiple devices or one-dimensional hardware. Zebra’s TC70/75 mobile computers deliver real-time voice communications plus SMS texting and even video conferencing capabilities in one easy-to-use device. Plus your workers get access to business apps, information, and data capture capabilities to get work done in your warehouse. Want to Learn More and Start Optimizing Your Warehouse? Call ValuTrack at 877-484-8187 or email [email protected].